This sumptuous Folio Society edition of Dante's Vita Nuova translated from the Italian by Mark Musa arrived with the suggestion that I post photographs to accompany anything I wanted to write. So here it is, bathed in marine light. What I wanted to write was unclear to me, and feeling incapable of adding anything worthwhile to the centuries of studies, I began with the basics. 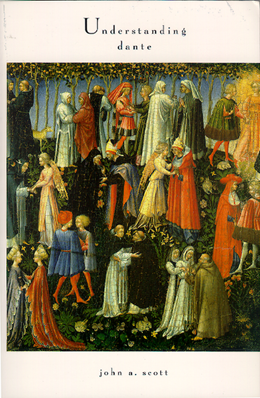 The book was published in 1295 and comprises 31 poems and a prose narrative described by Robert Harrison as juxtaposing "quasi-hallucinatory dreams and visions with pedantic commentary on the poems"; an unusual genre for us, with one familiar forerunner in Boethius' Consolations of Philosophy and no obvious descendants. TS Eliot describes it as a mixture of biography and allegory "according to a recipe not available to the modern mind"; closest perhaps to a modern scholarly edition of selected poems edited and annotated by the poet himself, and so perhaps even outside of our time given the suspicion or regret we feel towards that which is not the thing itself. Here the distance from the thing itself is everything. 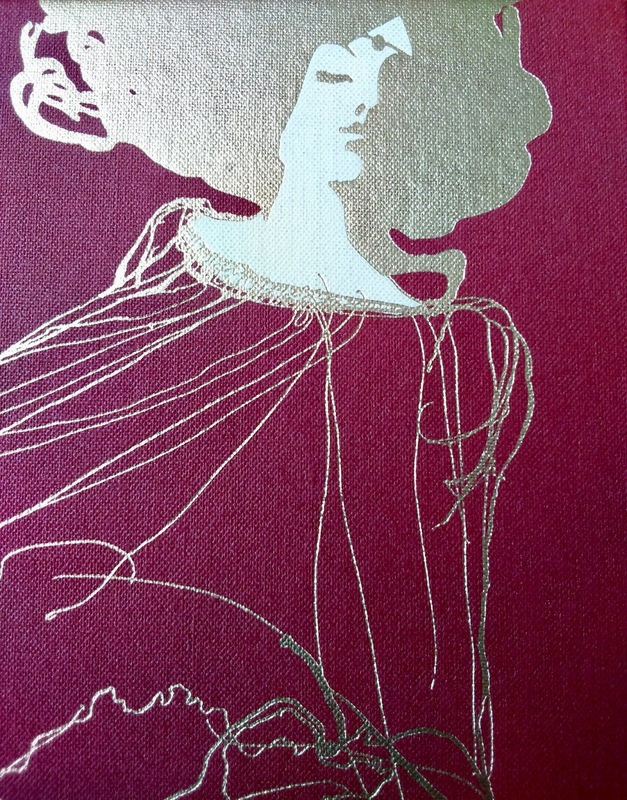 The book tells of Dante's love for a woman he saw first when they were both children and with whom he had only the merest acquaintance throughout the rest of her short life, but whom he regarded from the start as "a miracle manifest in reality", as a sign of God's presence on earth, causing "the most secret chambers" of his heart to tremble and for his eyes to weep uncontrollably; a joy indistinguishable from distress. 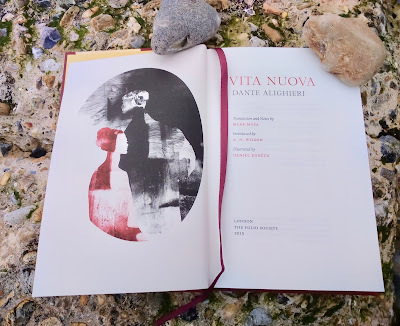 The new life of the title is one in which Dante would praise Beatrice in the very book we're reading; poetry being the gift that could not be taken from him once she had died. 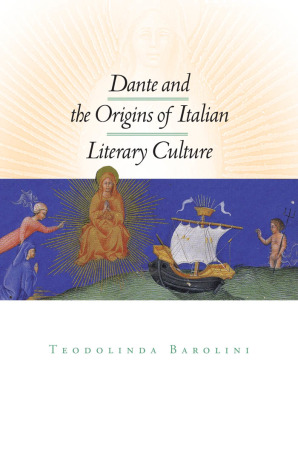 While the Vita Nuova sprang from the tradition of troubadour love poetry, Eliot says Dante was following "something more essential than merely a 'literary' tradition". This might be what that I would like to write about here. 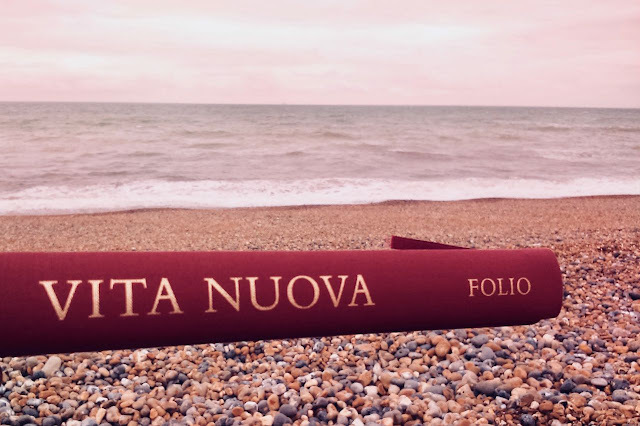 What is it that makes the Vita Nuova "something more" than an exercise in genre, and what can reveal to us about the literature of our time? Dante would go on to place Beatrice as his guide in heaven in his most famous work, which Borges argues was composed solely to manufacture another meeting with the object of this "unhappy and superstitious love". 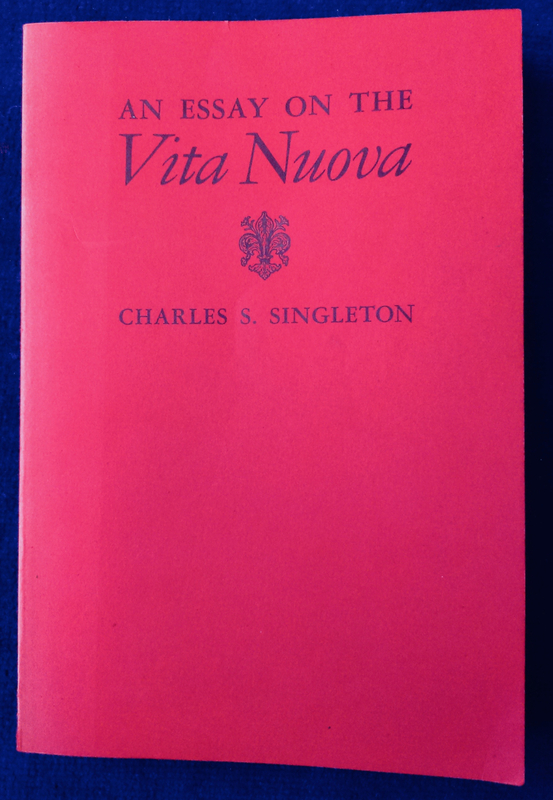 If in the Paradiso she is celebrated as "one of the beautiful angels of heaven", Charles Singleton says we recognise this in the Vita Nuova "not from a poet's extravagant rhetoric in rhyme, but from a sober and solemn and reasoned prose". This might come as a surprise given Dante's reputation as a poet. Except Borges also observes that what happened to Dante's vision "is what often happens in dreams: they are stained by sad obstructions". So we might see such prose here as another sad obstruction, and this is what Teodolinda Barolini argues when she says that a central purpose of Dante's commentary is "to divest the poem of any residual temporal immunity", thereby creating a tension between the physical and metaphysical elements of the story, which might correlate to the tension between distress and joy Dante experienced in Beatrice's presence. Much of Barolini's own work, she says, is "finding ways to understand ... the deep meaning of the lyric/narrative contaminatio" in which the lyricism and fragmentariness of one form seeps into the regular linearity of the other, and vice versa. This is something that also fascinates me, for less focused reasons, but which emerge from what Barolini goes on to say about the 'excessive narrativity' that attracted later generations of writers in the form, thereby losing the lyric side, something that we can see today in the graphomanic tendencies of modern fiction. Perhaps that "something more essential" appears in this contamination. There are others in the Vita Nuova in addition to that between lyric and narrative: there's the oscillation that Harrison notes between "Cavalcantian nihilism and Christian evangelism", in which the afflictions of romantic infatuation and the redemptive promise offered by Beatrice create what to us is an odd mix of pathos and piety; a mix that is also present in the light she radiates that acts in the opposite way to the Eurydicean darkness of pagan myth, looking into which nevertheless has a devastating impact on Dante, if not as devastating as looking into the darkness was for Orpheus. The nearest equivalent in modern writing to such contamination might be a book that 'plays with genre' or has multiple styles. Except this would also be furthest from equivalence because, as has been said, in the Vita Nuova the forms are necessary to the story rather than there to dazzle the reader with the writer's generic learning. In that part of the book of my memory before which there would be little to be read is found a chapter which says: Here begins a new life. It is my intention to copy into this little book the words I find written under that heading – if not all of them, at least their significance. Singleton says handwritten works of this age did not announce the presence of the scribe copying the words from another book, so immediately there is an unusually self-consciousness intervention. 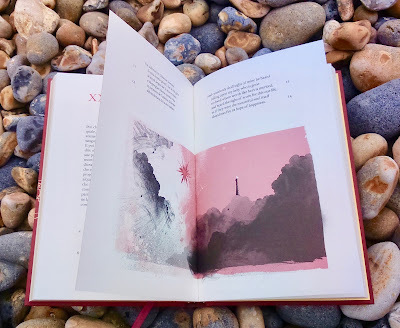 The book becomes two books and the poet becomes two people: the writer is a protagonist in the story and the one who lived through what happened and is now looking back, giving the narrative another opposition: "the principle of a then and a now, so mercury jumps like a spark". There is no staged innocence here as in the modern Bildungsroman: the story is already over – "Beatrice will not happen again". If the unusual mix of genres in the Vita Nuova reveals that we are not as modern as we think we are, writing of a young woman as a kind of vernacular Jesus is by contrast more or less unintelligible to us, and thereby easily dismissed as a museum exhibit. 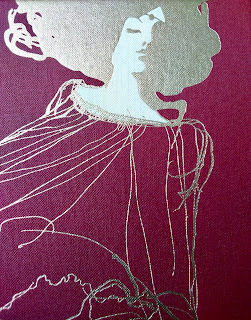 I was prompted to wonder about this question by the seductively intimidating presence of this Folio Society edition with its decoration proclaiming an obscure value but also, it seemed to me, standing in for it. The poems and commentary work against the solemnity, cultural worth and demand for dutiful respect that we associate with canonical works, replacing them with anxiety, reflexivity and self-abasement. And while its unintelligible aspects also mean it's tempting to dismiss Dante's elevation of Beatrice as sublimated sexual obsession bordering on the pathology of a stalker, with her death relieving him of the possibility of her ideality becoming tainted, this would also be our form of relief, enabling us to dismiss a disconcerting resistance to our self-ratifying assumptions. Nor would it be original: Scott reports that a contemporary to whom Dante sent the poems told him to rid himself of such visions by "giving his balls a good wash". 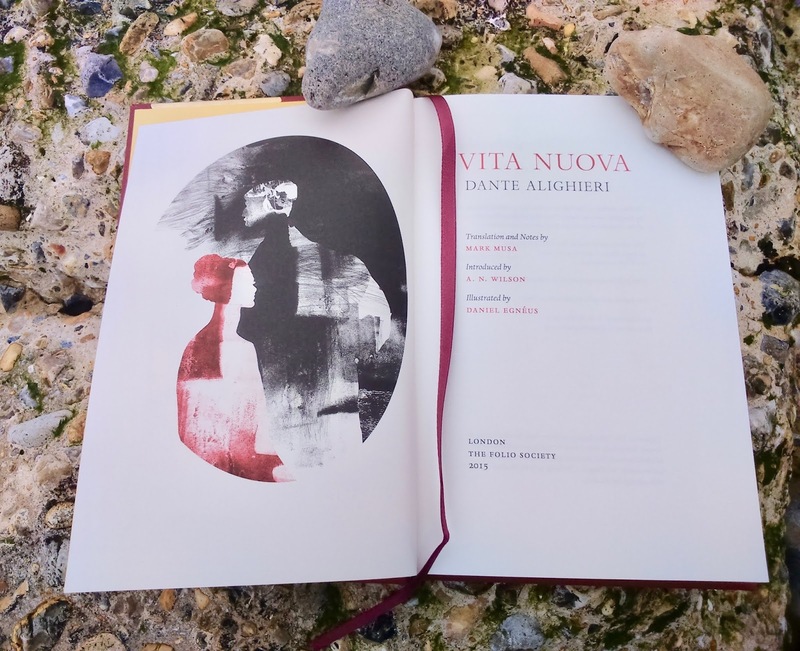 We might begin to recognise what it means by raising yet another contamination, noted this time by Alison Cornish: "One of the most important and original aspects of Dante's literary project is his recuperation of sensual, earthly love ... as salvific and educational". This could be adapted to describe Proust's In Search of Lost Time with its two unhappy and superstitious loves from which Marcel learns and Swann doesn't, and the salvation of unredeemed time by the famous Proustian moments, not to mention its heady mix of description and commentary. The lineage suggests that unintelligibility is a function not of religion or cultural distance but the rarity of literary works set in motion by the interaction of such contaminations. We're used to one or the other dominating a novel (inevitably labelled a tour de force), but not both working alongside, distinct yet inseparable. In the (I have to say remarkable) final volume of My Struggle, Karl Ove Knausgaard suggests this is the case when he repeats the standard complaint that Dante's Inferno lives for its readers because it is populated by real people but dies in Paradiso because of the "non-human or beyond-human" nature of the divine. The comment arises from a discussion of what he learned when he had to delete his father's name from the first volume to placate his irate uncle. He discovered it robbed the presence in the book of the unique individual he had felt compelled to write about. From this Knausgaard recognises that this robbery recurs in our lives with the proliferation of screens – TV, laptops, smartphones – piping images into our lives in every conceivable location: "all kinds of people and places present themselves before us with nothing in common but being somewhere other than where we are". Everything has become fiction or is seen as fiction, causing the world to vanish because it is always somewhere else from where we are. Perhaps the midpoint is writing itself. There is in certain volumes of My Struggle an approach to something more essential that is present in the writing of Dante, Proust, and many others, which is a product of this strange compulsion to approach what is not there, "to look to death for what life cannot give", as Eliot says is a lesson of the Vita Nuova. It is a compulsion that is itself a product of writing and its contamination of the world. After writing the final sonnet of his book, Dante says "a miraculous vision" appeared to him that made him resolve to say no more about Beatrice until he was capable of writing about her "in a more worthy fashion". It is notable that he does not describe the vision, but we know what he went onto write.